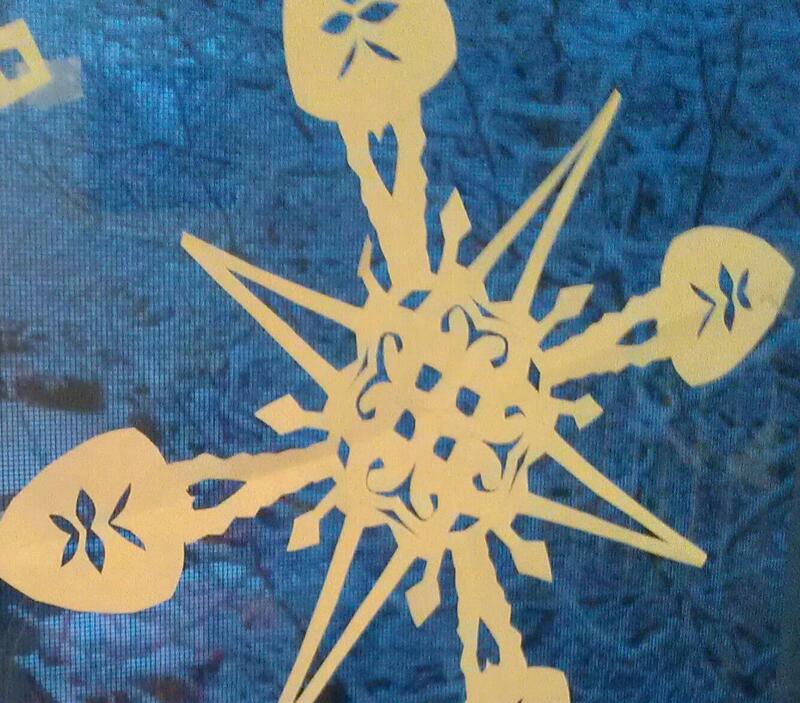 One of our homemade snowflakes, which I finally took down the first day of Spring, just in time for more snow! I’m either totally awesome, brave, and strong . . . or lacking in common sense. I just returned from a four mile walk. It’s 9 degrees, and I can barely move my cheeks. But I feel empowered. It’s a football playoff day at our house. The boys, glued to the TV, are begging for homemade pizza, and I just earned 520 calories of cheesy goodness. Glad I didn’t splurge yesterday just because I was sad. Glad I was intentional about choosing when and how to eat a heavy, high calorie food. I awoke angry this morning. All those tests stirred up the weird sensations in my head. It was as bad as it was a few months ago. I cried. I don’t want to go back to that level of functionality. I’d found a peace with the last six months. After all, I’ve received much healing in all parts of who I am, physically, emotionally, and spiritually. I’m in better shape than I’ve been in years. I’d even come to the place I could thank God for the process, be grateful I was “benched” so that I would take time to take care of ME. But not this morning. I was mad at God. Afraid of what the future holds—how many more tests, what therapies are a head. I’m tired of spending so much time and energy focused on getting well. I want to get on with my goals for life! I remembered what my friend said about my walking, about how it was Eden walks, when the Lord and I walked together, connected like Adam and Eve did in the Garden of Eden. And I didn’t feel all sweet and good about that. I wanted Jerry to be healthy enough to walk with me. I didn’t want to walk alone, even if it meant an opportunity to walk with God. I was mad at Him anyway. And of course that attitude made me feel even worse because I don’t like to be mad at God. I want to WANT to spend time with Him. I knew my emotions were childish and petty, that this world isn’t heaven and getting mad at God doesn’t do anything to help me. So I took off. I made a goal of walking to the grocery store. I figured that would give me a specific plan and a place to warm-up halfway through. As I walked it was hard to think about anything except how cold it was. But when you walk with God (even if you’re ignoring Him) cool things can happen. I sang a little as I walked, breathing in the cold and panting between choruses. His grace washed over the hard ground of my heart. I sensed His love, His patience with my bad attitude. Cool thing #2 happened as I passed a house that always has amazing Christmas decorations. Of course they are down now, but each holiday season I make a point to drive past this house and enjoy the array of Christmas scenes they display. When the kids were little, it was a family experience. I’ve long treasured the gift the people of this house give the people of mine. This house is over a mile from ours, so I don’t know these people. I’ve signed their guest book, but never been able to thank them personally. As I walked by a woman was unloading a bunch of groceries in the miserable cold. I rushed across the street and started helping. Of course I’m a total stranger to her, but I just had to do it. It was just a tiny token of appreciation for all the joy they have brought my family and me. It felt so good to finally thank them face-to-face. Of course you don’t have a unique encounter like that without thinking about Jesus. I felt His smile, and I returned it with one of my own. I’m convinced He orchestrated that sweet moment so my anger could melt into joy. Cool thing #3 blossomed as I thought about Him again. I thought of how He is with me every single moment, and how I am never alone even when it feels like I am. I imagined Him walking next to me. I thought about what I would say to a friend walking with me and tried to concentrate on chatting with Him like that. I was only successful for short spurts before my mind wandered to whatever caught my attention as I walked past. This frustrated me. I longed for deeper connection, for a true Eden walk. Then I thought about how it is when I walk with Jerry. Sometimes we talk, and sometimes we just enjoy walking together, letting our thoughts drift in companionable silence. I looked to my left and believed Jesus was right there. I smiled because He chose the side next to the traffic, just like Jerry does. And I felt protected and loved. Cool thing #4 happened as I warmed up at the grocery store. There was a wonderful woman offering samples. I had walked into my usual lunch time, and my cheeks were stiff with cold, so I paused a moment to accept a sample (60 calories, I checked) and chat while I warmed. What a woman! Eighty-five years old, she retired from the police department and works at the sample table so she can travel the world! How cool is that?? Just a few months ago she flew with her daughters to Barcelona and the cruised the Mediterranean. What an inspiration! I want to live fully at 85, continue to chase my dreams, find places to make friends and be useful, like she has. My new friend Norma had a strong faith that shone as we talked. She told me pieces of her story—and isn’t that what life is really about, how we all live in the big story of life and how your story and mine intersect? I saw her strength, her joy, her willingness to reach out to me, a perfect stranger, in the midst of some incredibly difficult circumstances. I saw how she didn’t stop living when hard things came, how she found ways to breathe and celebrate and travel all 50 states and most of Europe. Warmed in the grace of her smile, Jesus and I headed back home. We didn’t talk much. I was so cold I mostly just wanted to walk fast and get to the heat of my very own house, but that whole freezing two miles I knew Him and His presence. I’m glad the Lord is so patient with me! I’ve been mad at him again this week. I really hope I outgrow that someday. How does anger affect weight loss. What do you do when you’re mad?